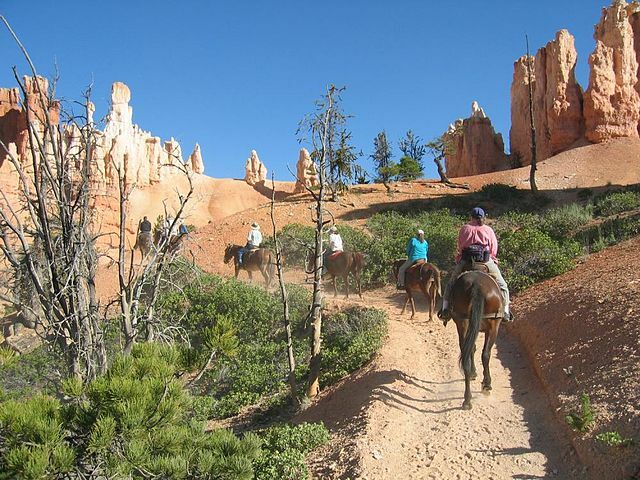 Bryce Canyon: Hoodoos – grotesque, eerie and often whimsical…are on display here, along with ancient trees and scenic views from the rim. 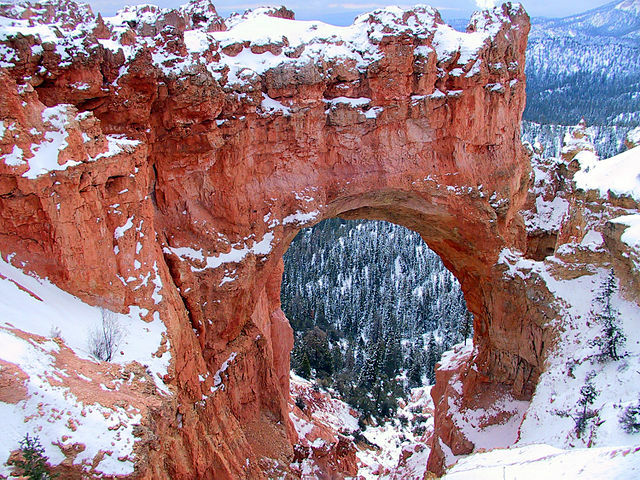 Famous for its unique geology of red rock spires and horseshoe-shaped amphitheaters, Bryce offers the visitor a “Far View” from the eastern edge of the Paunsaugunt Plateau in southern Utah. 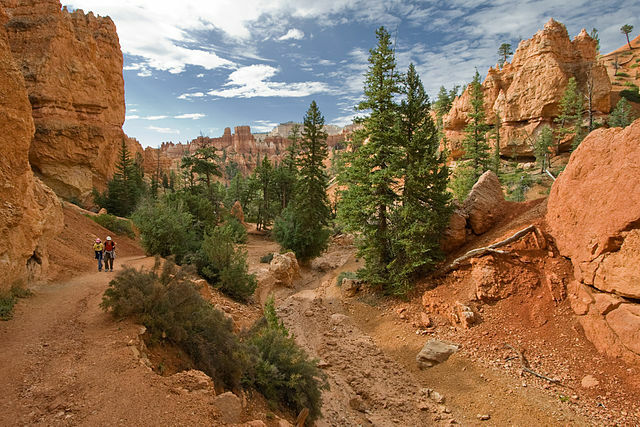 Bryce Canyon National Park is a scientist’s laboratory and a child’s playground. 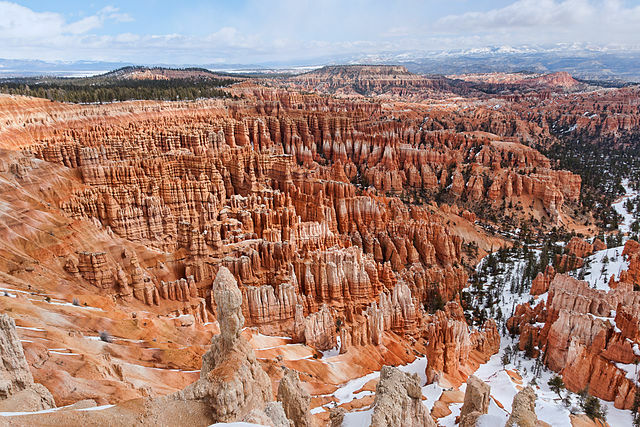 Because Bryce transcends 2000 feet (650 m) of elevation, the park exists in three distinct climatic zones: spruce/fir forest, Ponderosa Pine forest, and Pinyon Pine/juniper forest. 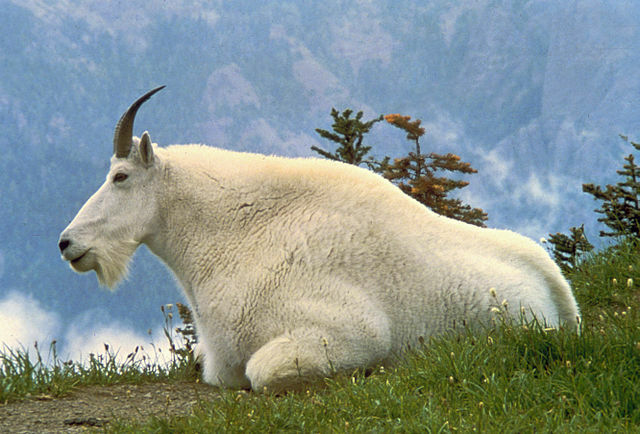 This diversity of habitat provides for high biodiversity. 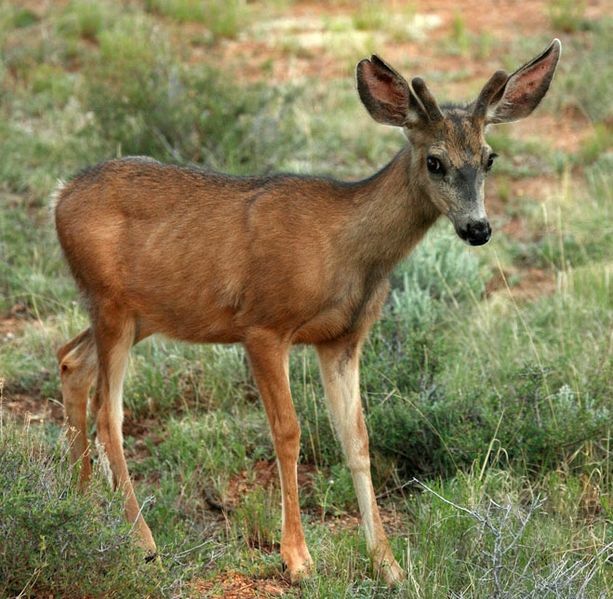 Here at Bryce, you can enjoy over 100 species of birds, dozens of mammals, and more than a thousand plant species. It is the uniqueness of the rocks that caused Bryce Canyon to be designated as a national park. These famous spires, called “hoodoos,” are formed when ice and rainwater wear away the weak limestone that makes up the Claron Formation. However, the hoodoos’ geologic story is also closely tied to the rest of the Grand Staircase region and the Cedar and Black Mountains volcanic complex. In short, Bryce has enough fascinating geology to fill a textbook. We invite you to surf this section of our website to learn about some of the highlights of Bryce Canyon’s natural world, and hope that one day you’ll come and see the real thing in person. Both campgrounds are located in Ponderosa Pine forest habitat with equal amounts of shade and sun, giving them a similar appearance. All sites are limited to 10 people (with no more than 6 adults (adult=16 and up)), 3 tents and 2 vehicles and cost $15 per site/per night. Holders of special Park Passes; Senior Pass, Access Pass (part of the America The Beautiful – National Park Service & Federal Lands Pass System) or the Golden Age & Golden Access Passes, receive a 50% discount. Sites fill by early afternoon during the summer months. Click here for a map of both campgrounds. A Group Site is available at Sunset Campground. Bryce Canyon is not a “real” canyon. It is not carved by flowing water. Water is the active ingredient here, but in the form of “frost-wedging” and chemical weathering. For 200 days a year the temperature goes above and below freezing every day. During the day, melt water seeps into fractures only to freeze at night, expanding by 9%. Now as ice, it exerts a tremendous force (2,000-20,000 pounds per square inch). Over time this “frost-wedging” shatters and pries rock apart. In addition, rain water, which is naturally acidic, slowly dissolves the limestone, rounding off edges and washing away debris.